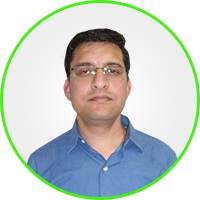 Mr. Manish Jain has 16 years of experience in finance and accounts. His expertise is in various routine financial and accounting activities such as cash flow control, statutory payments & compliance, timely internal and statutory audit, cost control , MIS reports , contracts, and the payroll process. 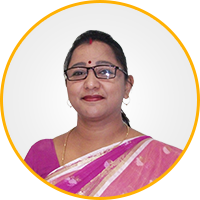 Before joining Nahar Hospital, Bhinmal, he was associated with Miraj Group Ltd.
Ms. Madhumita Das is a motivated, experienced and diligent leader. She has the ability to take on an initiative and work as part of a team to meet new challenges and deadlines. We are confident that her determination and organizational skills will help us grow. Before joining Nahar Hospital, Bhinmal, her last association was with NP Credit Cooperative Society Bhinmal. Ms. Jini Pillai is a nursing administration professional with 14 years of experience in this field. She has worked on nursing staff management for an entire hospital, maintaining the ratio of nursing staff in an organization, and ensuring proper resource requirement of nursing supplies in patient care. She also has vast experience in the regular monitoring on nursing indicators. Mr. Gautam Bhatacharjee has 15 years of managerial experience in directing security practice operations. He has expertise in security legislation, administration, code management, disaster management, and security risk assessment as per quality standards of hospitals. Before joining Nahar Hospital, Bhinmal, he was associated with Dayanand Medical College & Hospital, Ludhiana.